DigitalWoman - Nelly Yusupova - CTO, Startup Tech Advisor, Speaker, Entrepreneur. Founder of TechSpeak for Entrepreneurs 2-day bootcamp. My work creates confidence, competence, effectiveness and efficiencies. I have an unshakeable desire to see you and your company succeed. I'm a CTO, Startup Tech Advisor, Speaker, Entrepreneur. My mission is to make Technology as easily understandable as I can for you so you can fast track your success! Technology and the development process are not hard once the mysteries are revealed! If your company uses any form of technology, from software to websites to servers to payments etc, then it should also have a technology plan. Having access to the right information in a time of crisis is essential. Share my template that you can use to create one for your business. In just 2 days, learn the best methodologies for building web and mobile projects...bootcamp style! Get answers to entrepreneurs most pressing questions...every week. Our developer has tipped the balance of power in his favor but I can’t let him go because he knows EVERYTHING about our technology… what should we do? 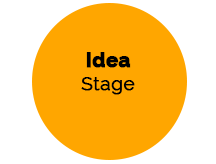 Simplify the idea until it's manageable as an early stage venture. I can’t let him go because he knows EVERYTHING about our technology! From Zero Knowledge of Software Development to Winner of Startup Weekend in 1 week! Explain what a tech plan is. Demonstrate why you must have it. Share my tech plan template that you can use to create one for your business. Now check your inbox to grab your Tech Plan guide...I can’t wait for you to dive in! No email? Be sure to check your spam folder. You can contact us at [email protected] if you need additional assistance. STEP 2 of 2: What's your first name & email? 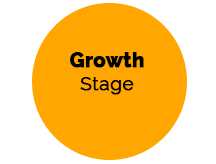 STEP 1 of 2: What's the stage of your company? You either have an idea, are actively searching for an idea or are considering becoming an entrepreneur. 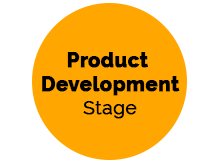 You've been actively working on your product for at least a month. You may or may not have hired a development team. You have built a working product and have some traction with users.